Turkey season is upon us -- or soon will be, depending on where you live. The landscape is starting to green up. The dogwoods will soon begin to bloom. And, if this season is like years past, you’ll be preparing yet another list of excuses for why you didn’t get your gobbler. Stop that. Enter the season with confidence by avoiding these seven critical turkey hunting mistakes. Scouting is the most important part of turkey hunting. Period. It doesn’t matter if you hunt one property at home or public land in several states. Your scouting efforts should serve two purposes. First, scout to locate as many gobblers as you can. Second, scout the areas those birds prefer to use as the day progresses. Turkeys are creatures of habit. Although they may not use the precise locations and travel routes every day, the flock will stay in the same general areas. Food, water, fields, cover and roost trees typically dictate their travel routines, so be mindful of these factors when scouting. Scouting should be done weeks, or even days, in advance of the season opener, rather than months. Finding big winter flocks is exciting, but those flocks will break up as spring approaches and those birds may relocate to new home ranges before the season opens. Listen for gobbling at daylight, but don’t stop there. Find those locations that turkeys prefer to be at mid-morning and in the afternoon. Look for tracks, recent scratching and droppings in areas ranging from field edges to mast-heavy hardwood ridges, and try hanging trail cameras (particularly those with time-lapse modes) in those areas. I can remember a sweet spring morning in northeast Kansas not long ago when a friend of mine missed three slam-dunk shots at toms by noon before he learned that the load he was using shot several inches to the right. Although we laugh about it now (or at least I do), at the time I thought my buddy would lose his religion. Luckily, he made some adjustments and claimed a double after a pair of toms flew off the roost the following morning. Ideally, your pattern should have at least 100 pellets in a 10-inch circle at 40 yards. Obviously this will vary slightly depending on the shot size used; however, this is a good rule of thumb. Play with various chokes and loads until you find the highest density within the 10-inch circle. If you get a good, dense pattern but the shot isn't centered on the sweet spot, change your gun's point of impact so the shot density is at the point of aim. Calling a wild turkey isn't as tough as some make it out to be. The trick is in delivering the right tone in the right cadence to bring them into gun range. As my late friend Mike Lambeth once told me, "You can have perfect sounding clucks, purrs and yelps, but if the rhythm is wrong you might as well go home." So how do you do it right? Listen to the sounds turkeys make, paying close attention to the rhythm. It doesn’t matter if you're new to the turkey woods or have been doing it for a couple of decades, hearing actual wild turkey sounds will help you emulate the right tones and rhythms when the opener arrives. Consistent practice prior to the season will bring everything together. The most important calls to master are the cluck, purr, cutt and the plain yelp. These are the "bread-n-butter" sounds of any good turkey caller and will bring willing toms into range. Good calling also comes with consistency, so once you find a handful of calls you like, stick with them. Sometimes calls are not effective, no matter how aggressive or subtle you are. The weather may shut down breeding activity temporarily, or the birds may just be in an unresponsive mood. In this instance, silence -- and scouting -- are your allies. Set up in a strut zone or feeding area (food plots are ideal) and wait him out. Few turkey hunters enjoy this style of “deer hunting” for turkeys. But if you want to carry a bird out of the woods, sometimes it's the only option. Transition zones with pinch points or bottlenecks are also great locations to try and ambush a turkey. It could be a simple gap in a fence or hedge row or a spot where the timber narrows. I have a particular location on some public ground in eastern Kansas that has yielded three toms in as many seasons, and all but one received the silent treatment. Sometimes silence is golden, even when a turkey is answering your every call. A tom that stands in one place and gobbles for too long (either because he’s hung up or still on the roost) is very likely to attract other hunters or lonely hens. Either way, your chances are blown. 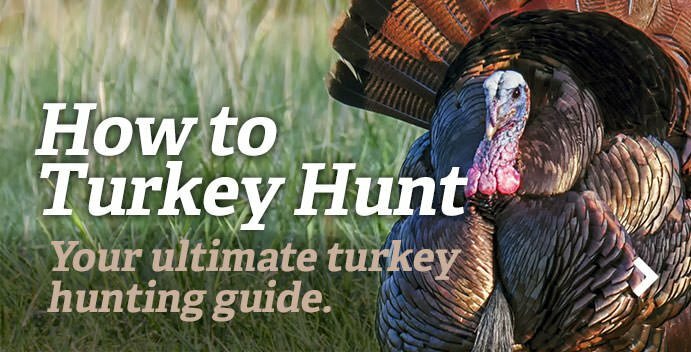 As a general rule, your first approach to calling a turkey should be to get the bird excited, and then make him anxious enough to lose patience. Today's turkey decoys are better than ever. Many are hyper-realistic yet still portable enough to fit in a vest. But there's more to successfully utilizing them than just sticking one 20 yards in front of you. Knowing what the local turkeys are doing at any given time is the key to success. A hen-and-jake combo can be killer, for example. But if big flocks of jakes have the run of the area you're hunting and are ganging up on older toms, a jake decoy can sometimes create a negative result when viewed by a longbeard. A breeding setup can bring a dominate tom into range, especially if the breeding tom appears to be subdominant. The sight of an intruder having its way with one of the local gals can cause them to throw caution to the wind. The key is setting them facing away or at a 45-degree angle away from where the gobbler will be coming from. This way he feels that he has the upper hand when approaching. Full-strut decoys can be a double-edged sword. Although they can bring toms in on a run, they can also spook them on sight. Strutter decoys are at their best during the early season, when gobblers are still running together and establishing a pecking order. Most gobblers have been in a few fights as spring wears on, however, and may not care for another. A group of two or three feeding and relaxed hens is the better bet at that time. I'll be the first to admit, I'm a pretty conservative guy in general and, until a few years ago, that conservatism followed me into the turkey woods. Sometimes the cautious approach is best. But my reluctance to take some risks has surely cost me a few toms. A fairly new method among modern turkey hunters is fanning. Although it has its obvious risks, if done at the right location and right time it can be a tool worth deploying. I have also used this tactic with a hen decoy with success. Still-hunting can also be another tactic when you need to make something happen. Although you significantly increase your chances of bumping birds, you really didn't lose much since they weren’t coming to you in the first place. Try aggressively calling with cuts and yelps to spark the interest of a nearby hen as you move. She could have a tom in tow and bring him right into your lap. Going extremely slow and sounding like a wandering hen is what you’re trying to emulate. If a tom is refusing to come to you, don't be afraid to push the envelope and move to him. If that's undoable because of terrain or sparse cover, loop to his opposite side. While moving closer, send aggressive cutts and yelps his way to let him know you're coming, obviously stopping short of his location. The key is to get as close as you can without being seen, but sounding like a hen in the process. The dictionary defines patience as "the capacity to accept or tolerate delay, trouble or suffering without getting angry or upset," and it won't take too many seasons under your belt to realize how that can play a role in your overall success or failure. More often that not, turkeys don't do what they are supposed to do, and it requires a heap of mental endurance and patience to get the job done. Long setups without a gobble, missed opportunities and mistakes, or simply bad luck all breed mental failure in the turkey woods. Hunters who overcome such difficulties find the most consistent success. Editor's note: This Realtree.com evergreen article was first published March 10, 2015.